Near foothills of the Vercors with fine views of the Monts du Matin. 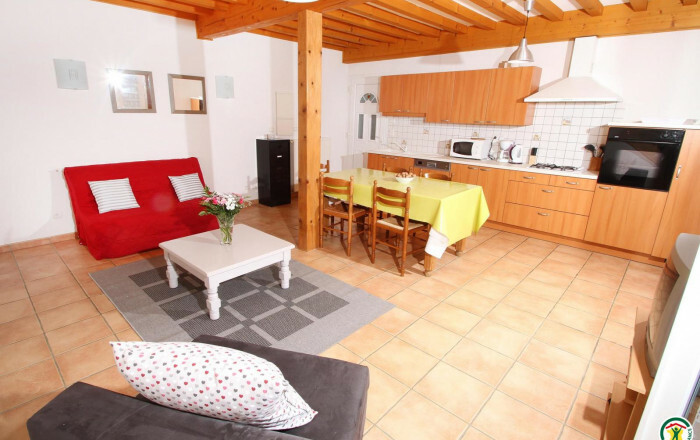 2 self-contained gîtes in farmhouse (not overlooked), near owners' house. Access via D425 road. Ground floor: large living/dining room with kitchen, utility room, WC. 1st floor: 2 bedrooms (queen-size bed) (2 single beds), shower room/WC.